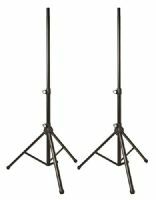 Pair of loudspeaker stands with a quick release, pneumatic mechanism for raising and lowering speaker height. 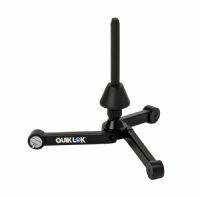 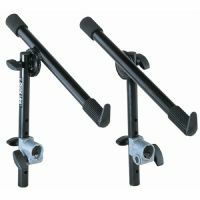 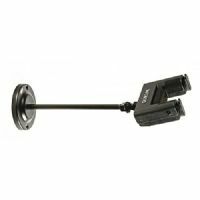 The A-987 Straight Tripod Microphone Stand with One-Handed Clutch from QuikLok features a clutch that allows for single-handed adjustment. 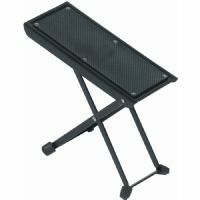 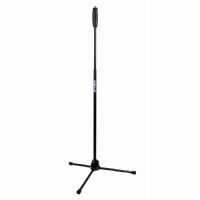 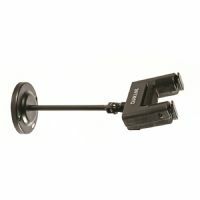 Compact, pocket-sized, yet sturdy stand will accommodate flute/ clarinet instruments comfortably and securely. 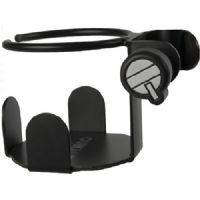 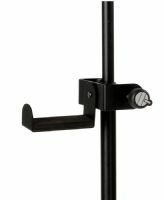 The black MS-326 from Quiklok is a solid metal beverage holder for bottles, glasses, cans, and cups that can be attached to a microphone stand or a sheet music stand.